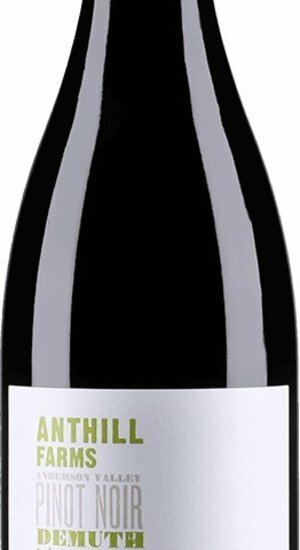 As is often the case, the 2016 Demuth continues to be one of the more elegant and Burgunduan of the Anderson Valley Pinots. Its high elevation and large portion of the refined Wadenswil clone show their distinct character in the wine. Mint and pennyroyal jump from the glass with wafts of wild strawberry and pomegranate emerging with a touch of air. Though graceful, the texture covers the mouth with flavors that echo the aromas. Sneaky tannins and vibrant acidity give focus to this vintage of the majestically alpine Demuth Pinot. Best enjoyed between 2020 and 2028.